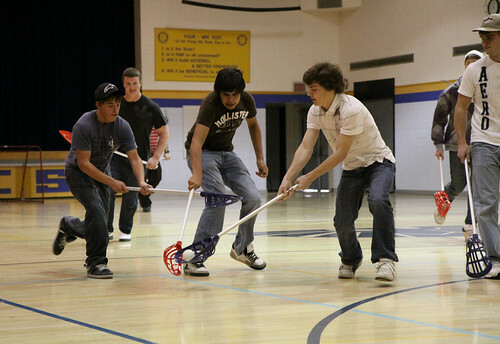 A group of DHS students spent their lunch hour playing lacrosse thanks to Mrs. Gardam's leadership class. Mrs. Gardam’s leadership class ran a successful pick-up lacrosse game today. An enthusiastic group of students came out for a fun game during the lunch hour. The lunch hour schedule is filling up with various intramurals and tournaments organized by classes here at DHS. Be on the lookout for posters and listen to the announcements to get involved!